Snowy Springs has added a new vacation rental, perfect for couples and small families! Last year’s project is now ready for the 2019 season. We are currently adding finishing touches to the Tiny Cabin. 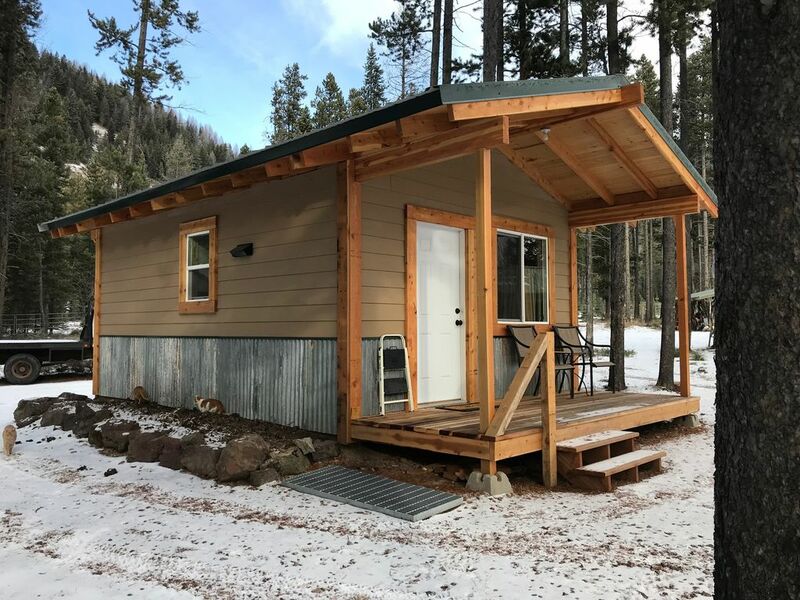 The Tiny Cabin is nestled between Glacier National Park and the Great Bear Wilderness, right smack in the middle of miles of trails in the Flathead National Forest, Bob Marshall Wilderness Complex and Glacier National Park. 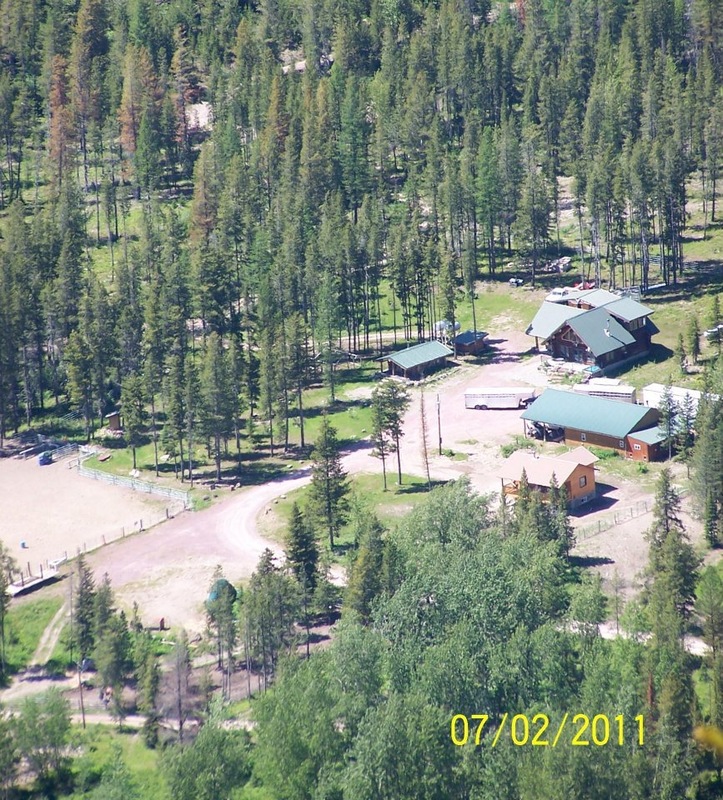 The cabin is on a 100-acre working outfitter property a quarter mile off US Hwy 2. It is 19 miles from East Glacier Park where the Mountains meet the Plains, with several restaurants, shopping and golf. 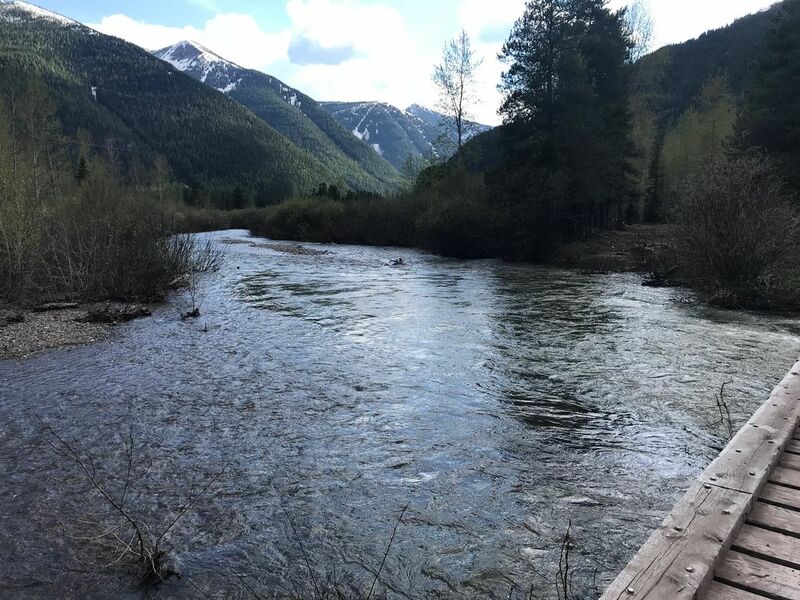 Boat access to the Middle Fork of the Flathead River is 8 miles. The West Glacier entrance to Glacier National Park is 40 miles with shopping, golfing, guided rafting, and raft rentals. Whitefish is 1-1/2 hours away with lots of shopping and dining options and a world class downhill ski mountain and summer resort. There is a weekly summer rodeo in Columbia Falls, 60 miles. 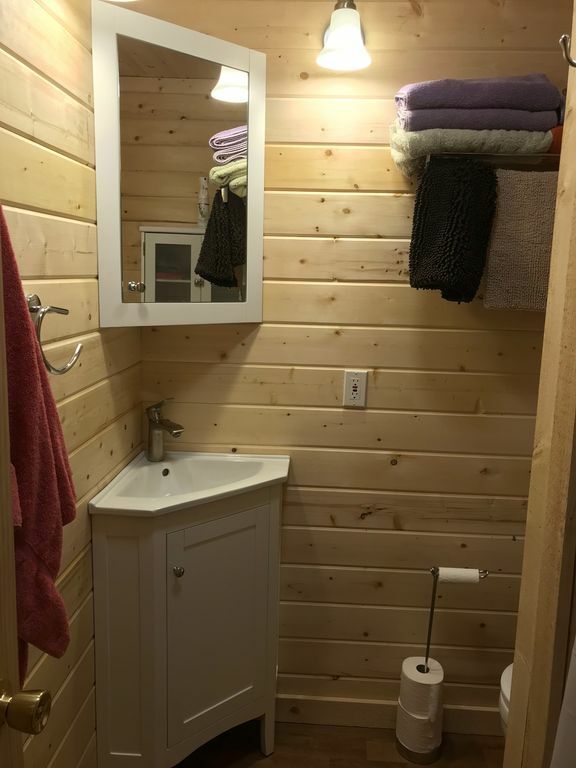 The cabin is one room with a separate bathroom with shower. 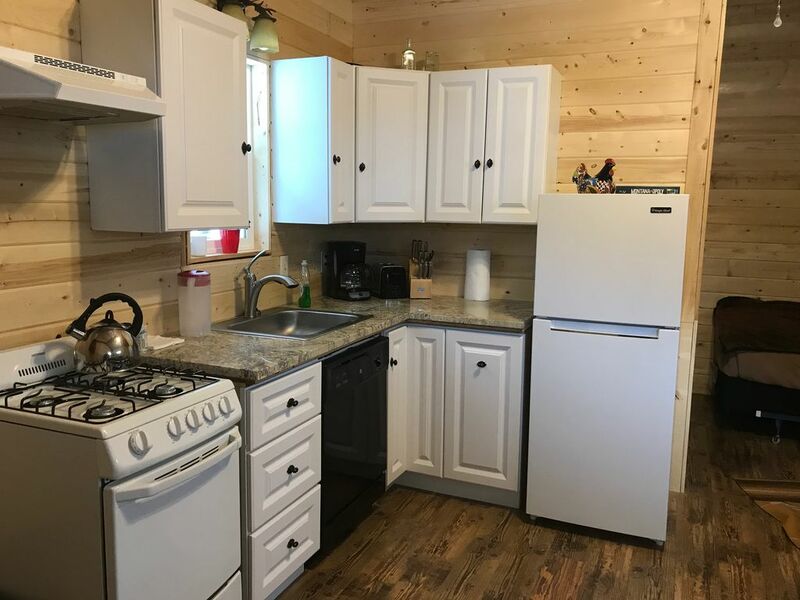 All appliances are new with a very nice kitchenette with dishwasher, refrigerator (looks small but is suprisingly large inside), four burner propane stove with oven, and granite counters. Sleeping arrangements are a bunkbed with full size lower bunk and twin top bunk plus a futon sofa sleeper. Water is surface run through Culligan system including UV light; it’s safe but it’s up to you if you would prefer to bring water for drinking. 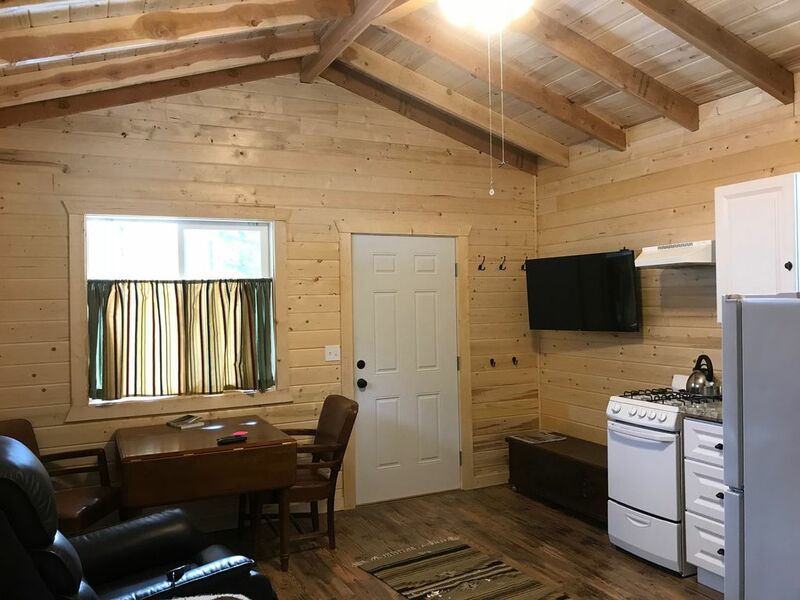 The property offers something for everyone, with trails nearby for close-to-home outings and views into Glacier National Park and the Great Bear Wilderness. There is fishing right on the property which includes a creek and beaver pond. The cabin is within walking distance to the Snow Slip Cafe & Bar and several trailheads for hiking, horseback riding or mountain biking. Pets are welcome. A chain link dog pen is available as well as pens for horses and a large arena for riding. 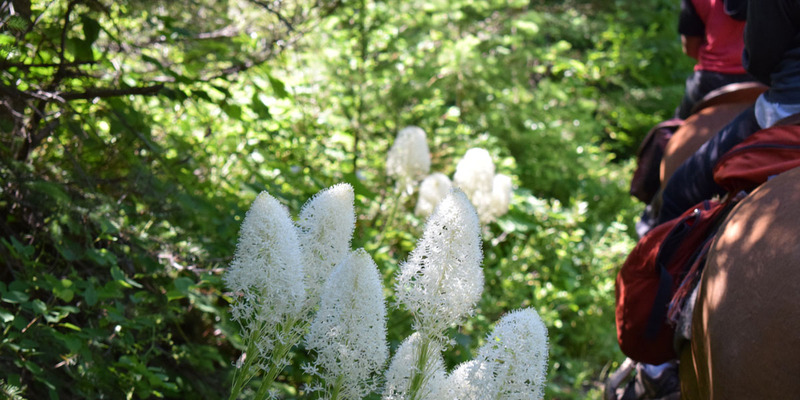 It is not uncommon to view deer, elk, moose, black and grizzly bears, beavers, otters, coyotes, wolves, eagles, hawks and hummingbirds. The base price of $109 per night is for up to 4 guests. Include the extra sleeping cabin for $55 per night for 4 extra beds. Minimum 3 night stay. Need more space? Check out our Montana Mountain Cabin! You can check availability on the link below, book there, or contact us and book direct to save a little money.